Unless I'm missing something here I can't for the life of me figure out how to get this to turn the flashlight on?? I didn't have any issues on the KeyONE but no matter what I do on this it just launches the stupid Google Assistant?? Turn on the "normal" profile. Yup, already did that!! Still only launching Google Assistant!! But you have to enter the normal mode in settings and add a shortcut. Unless I'm blind, I don't see an option to add a shortcut? OMG I had to click on it. I feel so stupid now! I got it handled! Sorry to have wasted your time!! While I'm at it how do I disable this stupid qualcom aptX icon from the top bar??? What is it anyways? I noticed that the audio through my Bluetooth sounds terrible when talking to other Verizon HD voice customers but when I called my employee who has Tmobile the audio quality sounded fine on my Bluetooth. Unless they are unrelated I'm unsure how to even adjust this setting?? I searched with no avail! Can you just slide the notification over a bit and adjust the notification setting? says that notifications for this app can't be turned off?? That's not a solution at all. You turned off high quality Bluetooth altogether just to avoid the notification. 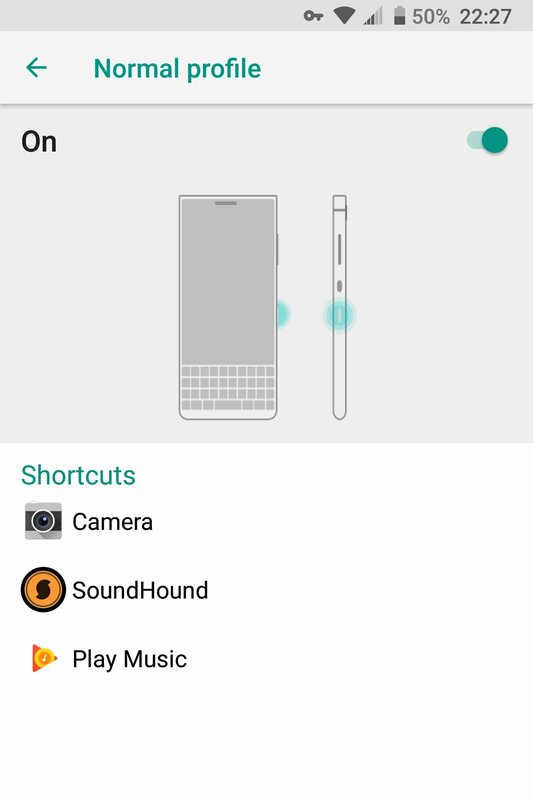 I used to have my Keyone set with the convenience key operating the flashlight. Two or three times a day I wound up turning on the flashlight accidentally. now I have it set to do nothing. you have 60 convenience keys already. I made my flashlight short press L. long press L is Librivox because I'm binge listening the old Gunsmoke radio show. I've also been trying to work out how to do this - excellent!